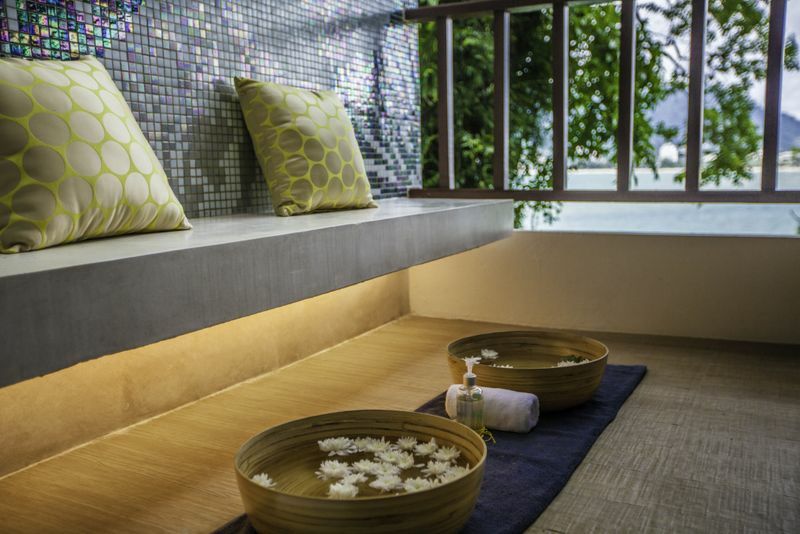 The unique layout of Breeze Spa speaks volumes about the designers of the extravagant Amari Phuket resort – it is clear that offering premium in-house spa and relaxation services was one of their top priorities. 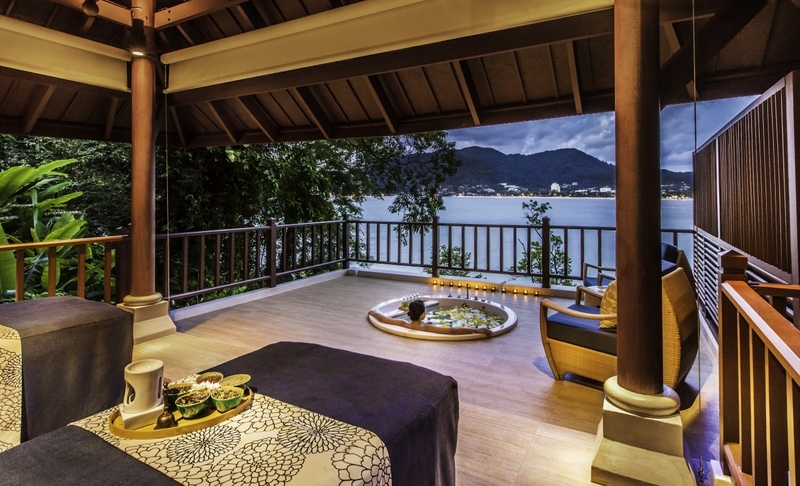 The teakwood massage salas give you stunning views of Patong Bay. The cool ocean air helps maintain the perfect temperature during your spa treatment. 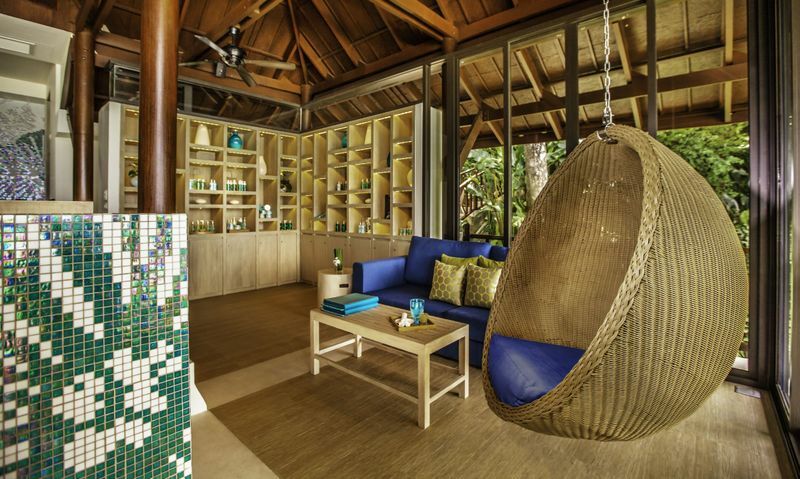 I’ve seen a number of high-end resorts in my life, but not as a customer – throughout my childhood my father worked as a hotelier, so growing up I was constantly exposed to the extravagant world of luxury resorts. 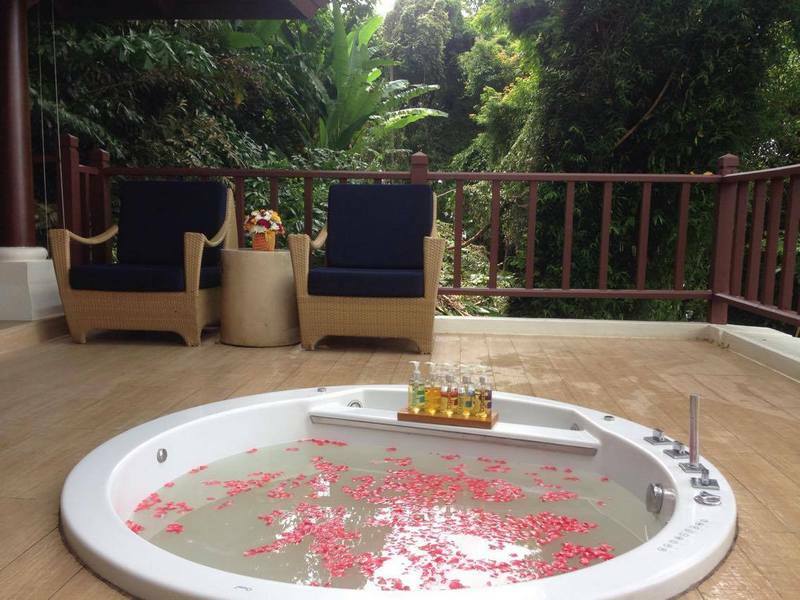 So I was surprised when expecting to be led to a dark room around the side of spa lobby, the receptionist instead led me out of the side door, not into a room but into a lush tropical wilderness. I followed a winding path that cut through the foliage, shadowed by high palm trees, it began sloping upward before eventually transforming into steps that led up to the top of the hill on which the hotel is nestled. 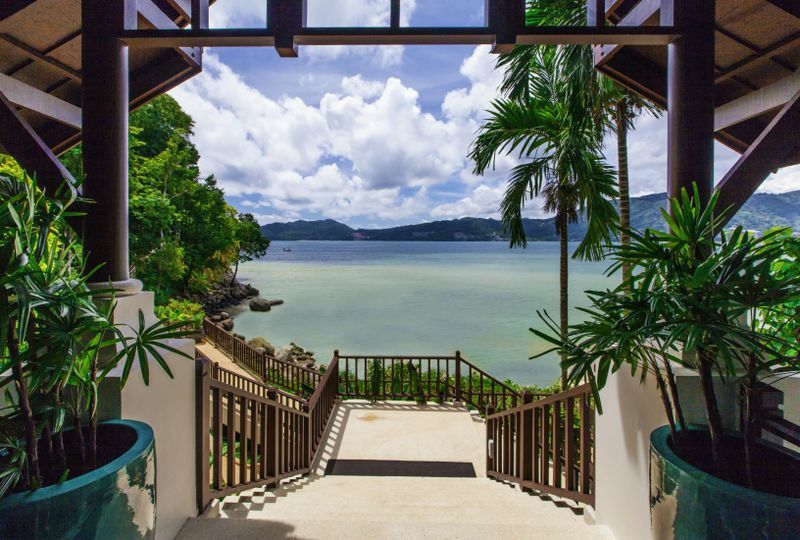 Each step up gave increasingly panoramic views of Patong Bay and the Andaman Sea stretching out to the horizon. As we walked for a few minutes, I felt an anticipation building – which I suspected was an intentional part of the whole experience. I wondered if all the guests felt this same curiosity – the build-up of suspense before the release of tension. As we climbed more steps and navigated another path, I came to the conclusion that the small amount of labour asked of me would probably be well worth my while. The higher we climbed, the higher the enveloping crescendo of cicadas rang, seemingly reaching fever pitch as we arrived at the door of our “room”. But again, as we “entered”, there was only more outside. 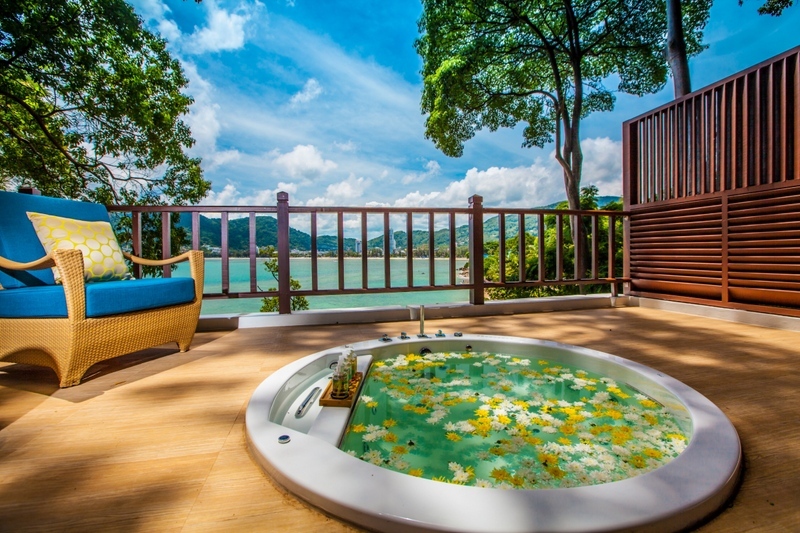 Inside was a Thai-style, open-air sala surrounded by greenery, a faint rustle of birds and wildlife, and before us, the great blue sea – its waves glistening from the sunlight’s touch. The only wall at the back held a luxurious bathroom and shower, in which we were asked to rinse ourselves and change into the comfortable attire of, well... as little as possible actually. With a robe around us to protect our modesty, our therapists gently rinsed our feet in a lukewarm bath. Now we may dig into the flesh of the experience. One limb at a time, my therapist carefully rubbed my skin with a fragrant potion containing Aloe Vera, phytoplankton extract, coconut, mint and lime – I simply lay underneath a thin cloth, meditatively aware of it working its magic on my skin, for 30 glorious minutes. The shrill sound of cicadas took me into a trance-like state, with the minty face-mask exuding a subtle burning, yet cooling sensation. Phytoplankton, I later learned, is rich in sea minerals, which softens skin and promotes all-over radiance. Aloe Vera is of course excellent for treating sunburn – the mask is designed as a recovery for beachgoers, or even scooter drivers, caught in blazing midday heat of Phuket. 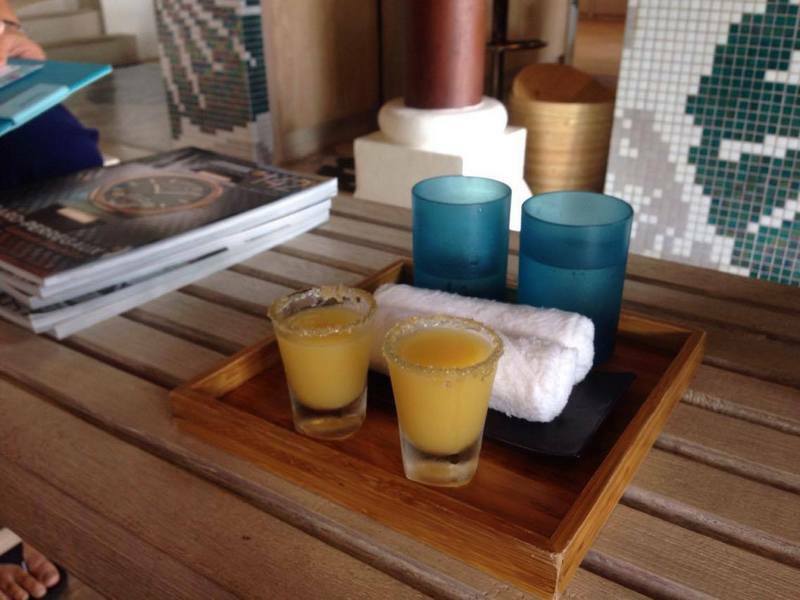 Unlike your average dimly lit and air-conditioned spa room, Amari’s outdoor set up provided an ideal natural temperature from beginning to end, and I was never uncomfortable or shyly requesting temperature adjustment, as I have found myself doing at other venues. 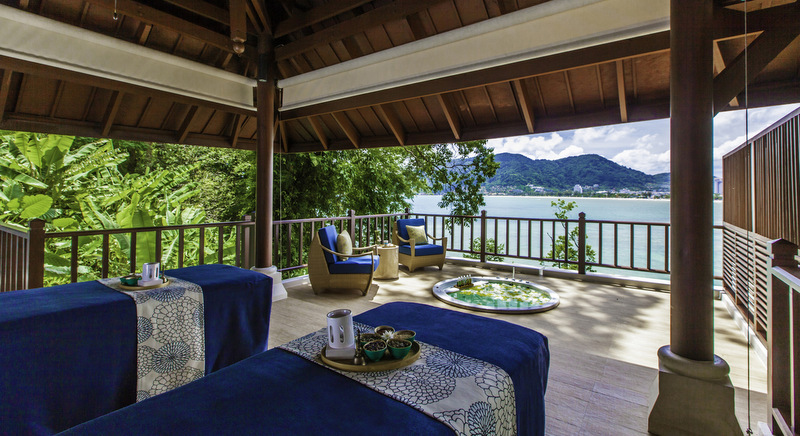 Perhaps the most subtle, but somehow most memorable aspect of Amari’s spa is the unique sensory experience – the sounds of nature, insects, the wind, bright green vegetation, faint laughter from the beach and the angle of the sunlight – all add to the pleasure and ensures each guest receives a unique experience. Let’s not forget the olfactory system, which was certainly not neglected. The 60-minute oil massage smelled as heavenly as it felt, and it felt like what it was: a five-star rub for total muscular relaxation from a highly trained, professional therapist who adjusted accurately to the pressure I requested. 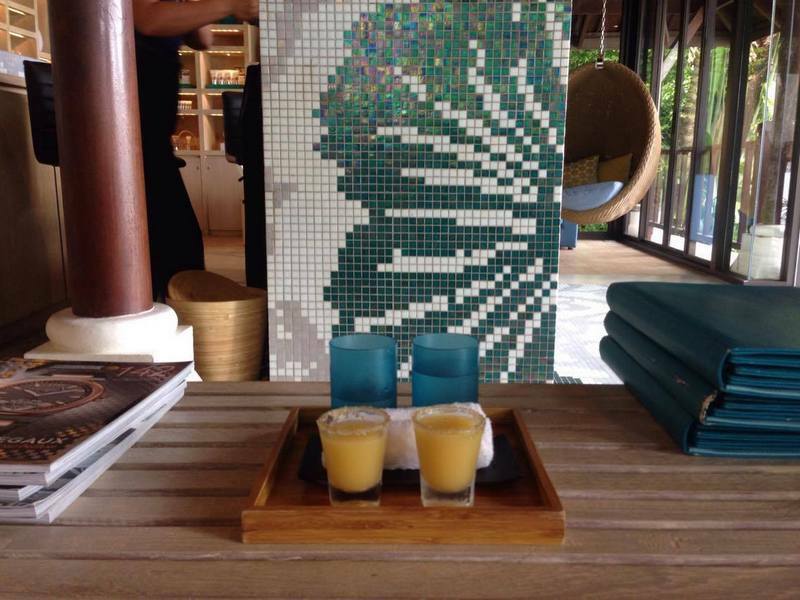 The soothing scents didn’t stop there, the 45-minute facial treatment which followed the massage entailed about five different skincare lotions, each with a unique tropical scent. The treatment used products from the skincare line of Dr Howard Murad, a renowned dermatologist, pharmacist and President of the University of Inclusive Health. Each special potion was massaged into my face by gentle hands and wiped off, after it had done its magic, with cool cotton, leaving me feeling more fresh, soft, fragrant and pampered than I have felt for… possibly, ever.